Is there a GBU group in your city? You can invest in GBU as a regular donor (monthly, bimonthly, yearly, etc.) or with a single donation. If you become a regular donor, your support will be even more precious as it will allow us to better plan our ministry. You can receive the GBU news published on this website directly in your mailbox. The GBU (Gruppi Biblici Universitari) is a student-based movement which unites students and organises events focused on God’s Word in universities up and down the country. Established in 1950, the GBU is the Italian branch of an international student movement called IFES (International Fellowship of Evangelical Students) which operates in more than 150 countries worldwide. The GBU’s vision and objectives are encapsulated in our motto, which is: Sharing Jesus from Student to Student. Jesus of Nazareth is the heart of biblical revelation and the cornerstone of the Christian faith, and the GBU exists so that every university student has the opportunity to hear the good news of salvation by grace and to respond by putting their faith in Jesus. As the motto makes clear, this ministry is carried out from student to student. Edizioni GBU (GBU Publications) complements the work of local GBU groups by publishing books that are useful for studying Scripture and for growing in knowledge and faith.  The Dipartimento di Ricerche e Studi (Department of Research and Study) is a GBU ministry whose objective is to create a greater synergy between the intellectual and academic dimension of the student movement and its evangelistic mission: to share the gospel from student to student within a university context. The Sala di Lettura GBU (GBU Reading Room) in Rome is a peaceful and welcoming “mini library” where students can go to study, make new friends and make use of the Christian literature available. The Mark Drama is a performance of Mark’s Gospel done in 90 minutes, with 15 actors, without a stage, costumes, lights, microphones… it’s just the gospel, pure and simple! PROCLAMA is a network of people that are involved, or who would like to be, in the public proclamation of the gospel in universities. IFES was founded in 1947 by a group of national student movements with the purpose of supporting and encouraging the creation of similar movements in every nation in the world: a witness to Jesus that is indigenous, culturally relevant and supported by the local church. The GBU has been a member since 1952. Today, there are student movements linked to IFES in more than 150 countries worldwide.